Washington: In some good news for people who fear painful injections given by the dentist, scientists have found a new method to deliver anaesthesia using a tiny electric current instead of a needle. The advance could help improve dental procedures, save money and avoid contamination and infection, researchers said. “Needle-free administration could save costs, improve patient compliance, facilitate application and decrease the risks of intoxication and contamination,” said Renata Fonseca Vianna Lopez, from the University of Sao Paulo in Brazil. “This may facilitate access to more effective and safe dental treatments for thousands of people around the world,” said Lopez. Dentists often have to carry out invasive and painful procedures in the mouth. To minimise patients’ discomfort, dentists use anaesthetics that block the pain, which are administered using needles. However, many patients are extremely afraid of these injections, resulting in them postponing and even cancelling visits to the dentist. For these patients, an additional step is needed – dentists first give them a topical painkiller to reduce the pain – and associated fear – caused by the needle. This can come in the form of a hydrogel, ointment or sprays; the most common are hydrogels that can contain lidocaine and prilocaine. The researchers studied a way of getting these topical anaesthetics into the body more effectively, to see if they could replace needles altogether. They found that applying a tiny electric current – a process called iontophoresis – made the anaesthetics more effective. The researchers first prepared the anaesthetic hydrogels with a polymer to help it stick to the lining of the mouth. They added two anaesthetic drugs, prilocaine hydrochloride (PCL) and lidocaine hydrochloride (LCL). They tested the gel on the mouth lining of a pig, applying a tiny electric current to see if it made the anaesthetic more effective. 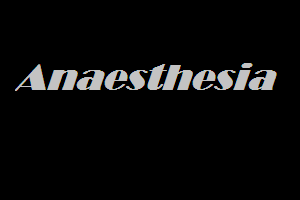 The anaesthesia was fast-acting and long-lasting. The electric current made the prilocaine hydrochloride enter the body more effectively; the permeation of the anaesthetic through the mouth lining increased 12-fold. The researchers said the technology has applications not only in dentistry anaesthesia, but also in other areas such as cancer treatment. “The skin and eyes pose challenges for drug delivery, so we have focused on improving drug delivery in these organs using nanotechnology, iontophoresis and sonophoresis, which is permeation using sound waves,” said Lopez. The researchers now plan to develop an iontophoretic device to use specifically in the mouth and do some preclinical trials with the system.